We are Surrey Scrapping Centre and our team operates an efficient Selsdon vehicle recovery service in and around Surrey. 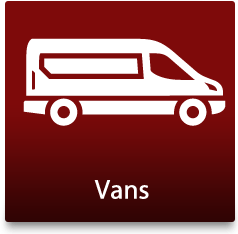 If your vehicle has broken down or needs to be disposed of, whether it is a family car, transit van, motorcycle or heavy goods vehicle, then we can help. 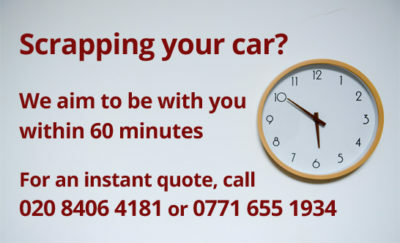 If you need to get your car to the nearest garage, or you would like us to carry out car disposal then our team have 25 years experience in our field. 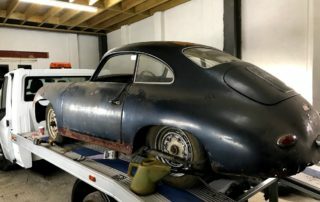 And, if you have a classic car that needs to be safely transported to a special event, or to another location, then we will work with care and respect to ensure your precious vehicle arrives safely at your chosen destination. Our company runs a reputable vehicle recovery service that guarantees your safety and offers you the confidence that our team of experts will recover your vehicle quickly and with care. We are always happy to provide our customers with expert information, leading advice and a car removal service that is competitively priced – our first class vehicle recovery service team will be there when you need us. Call us today to find out more, we will gladly offer you a fast estimate so that you can take advantage of our expert services and affordable prices. 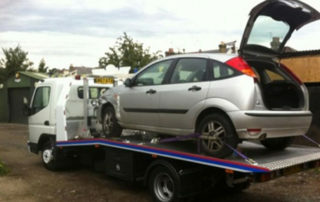 Are you looking to find a car removal company that runs a professional, reliable and efficient service in Sanderstead? If so, you have found us. 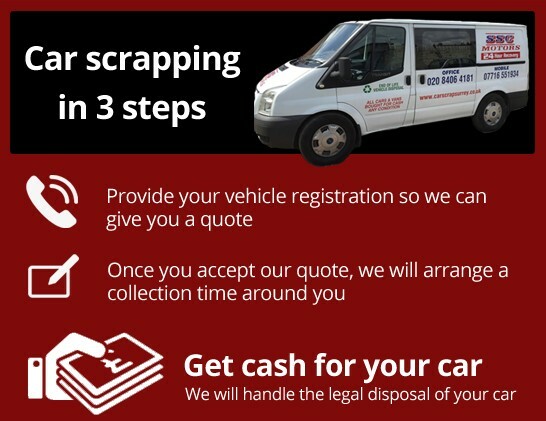 We are Surrey Scrapping Centre and we have 25 years of experience in responsible car removal that ensures we can take your car, motorbike or van and recycle or dispose of it following strict government ruling. What this means for you is that we will visit you when you need us to remove your car. Whether it has a failed engine or you simply no longer want your car, we will remove it with care and expertise and will dispose of it in the correct manner. 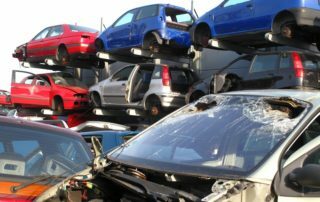 If you have a junk car, and wish to take on our impressive Surrey car removal services, then call our expert team today to find out how local residents in Sanderstead and Selsdon can benefit from our superior service. If you have a Selsdon scrap car that you wish to be removed and disposed of, then Surrey Scrapping Centre can help you do just that. 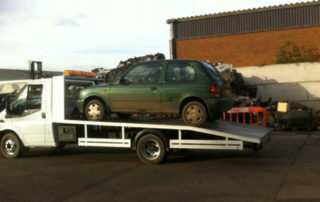 Our Selsdon junk car removal service means that your scrap car is removed and recycled in a responsible manner. 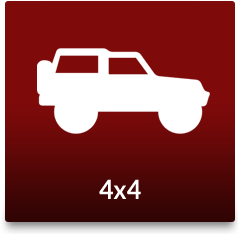 We offer up to £150 for an average family sized car, and will always issue a destruction notice so that you have peace of mind that your car, motorbike or van will not appear back on the road. Our excellent level of expertise and customer service leaves our Selsdon customers with the confidence that we will carry out junk car removal and car disposal safely and with care. We operate a reputable service, pride ourselves on being wholly reliable, and our team always act professionally. 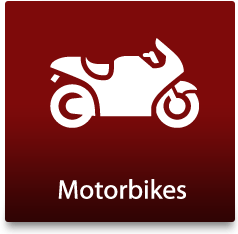 We’ve the experience to help you get rid of your old items, cars, vans, bikes, tyres and scrap metal and we will guarantee the best possible rates in the local area. 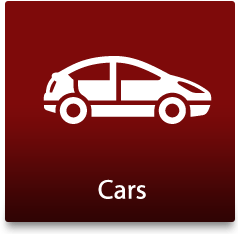 Do you have a salvage car in Selsdon, which has car parts that could be recycled? Perhaps you have an MOT-failure or accident-damaged car at home, that will cost more to fix than it is worth? Can you not face the hassle and stress of strangers coming to look at your car and driving it around the block. 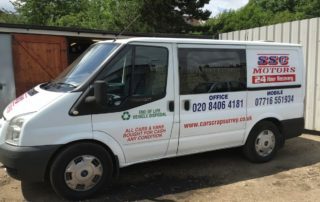 At Car Scrap Surrey, we take care of all your salvage, scrap, broken or old vehicles for you! Even if your car is less than 10 years old and you want to sell it to buy a newer model, we will be able to salvage it for car parts and make you a fantastic cash offer! 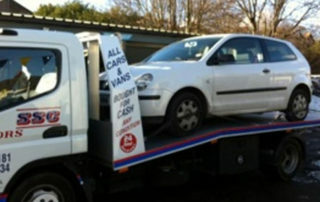 Our team can recover vehicles and can even come to collect your scrap car, wherever it may be! We are available 24/7 and on weekends and Bank Holidays – so can fit in with your schedule!